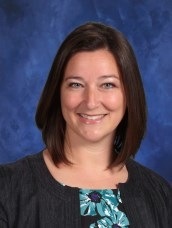 Heather Cooper teaches General Music and Choir at CCDS, where she has taught for nearly ten years. She holds Bachelor of Music degrees in Piano Performance and Choral Music Education from the University of South Carolina. She earned her Masters Degree in Music Education from Capital University with an emphasis in the Kodály teaching philosophy. She is currently President of the Northeast Ohio Kodaly chapter (NOCKA). Mrs. Cooper completed Orff Level I certification at the Eastman School of Music. She was recently named a finalist for the Canton Symphony Orchestra Music Educator of the Year award. In addition to classroom teaching, she directs the Performance Choir of Summit Choral Society (Akron). The group has performed with the Canton and Akron Symphonies, as well as tours to the Kennedy Center and Carnegie Hall. Mrs. Cooper enjoys serving as organist at Faith United Methodist Church in North Canton. She previously served as accompanist for the Canton Symphony Chorus.